Leslie Model 18 | MOSweb Online! 16 and 18 are identical except for the fact that the model 18 has a full range JBL speaker. 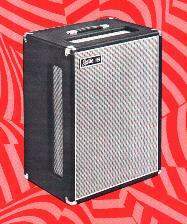 These units are the same as the Fender Vibratone cabinet.